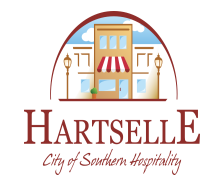 The City of Hartselle Administration Department is run by Rita S. Lee and is located inside City Hall. City Hall is located at 200 Sparkman Street NW and our normal office hours are Monday through Friday 7:30 – 4:30. Rita is responsible for accounting, business license, court office, human resources, the public library and information technologies.